UC Browser has partnered with Twitter and Microsoft Bing to provide cricket centric content on its browsers with its revamped UC cricket. The new revamped UC Cricket is an all-in-one cricket content aggregation platform. Via this partnership, Twitter will be providing live, public, and conversational content related to cricket matches on UC Cricket such as trending Tweets of cricketers, exclusive Twitter-only content from official cricket team accounts as well as native videos, Periscopes, Vines, and photos relating to the event. 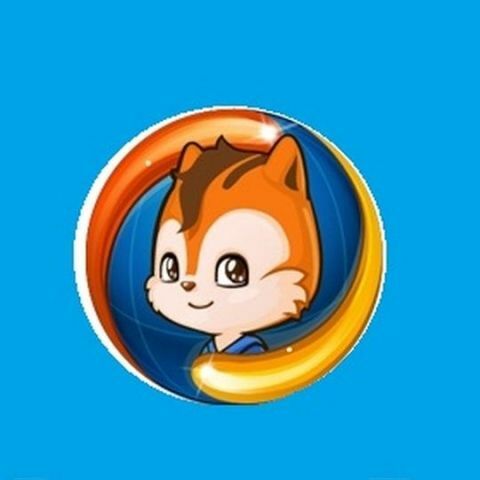 UC Browser, India’s No. 1 mobile browser with over 55% market share (according to StatCounter) from UCWeb, a business within Alibaba Mobile Business Group, has joined hands with Twitter and Microsoft Bing to provide a mobile gateway to all things cricket ahead of the all-exciting cricket season through the debut of a revamped UC Cricket, which is part of a broader plan to ride on the digital content trend and shape how content will be consumed on mobile Internet. UC Cricket, first introduced in 2013 to offer news and updates about cricket matches, has now evolved to become a comprehensive cricket content platform with over 100% growth in the average daily visitors from the year earlier. UC Cricket now provides complete cricket content such as live score, news, videos, live tweets, photo, stats, previews, commentaries, etc., making it the ideal platform for cricket fans. UC Browser, Twitter and Bing have a huge user base in the country. The partnership aims to reshape the digital cricket content landscape. According to the partnership, Twitter will provide live, public, and conversational content related to cricket matches on UC Cricket such as trending Tweets of cricketers, and exclusive Twitter-only content from official cricket team accounts such as native videos, Periscopes, Vines, and photos. Moving forward, UC Browser and Twitter are exploring deeper integrations around the cricket season to make the UC Browser experience always-on throughout this exciting cricket season. Bing, a leading search engine of Microsoft, will provide predictions to upcoming games via Bing Predicts. Last year, 83% of the predictions made by Bing Predicts for the world cup matches were accurate. UC Cricket also comes with a series of new features, including a floating widget called UC Express which allows user to access cricket content immediately, and Customizable Notification which enables users to subscribe the upcoming game for push notification update when the game starts. India has a huge appetite for digital content, with nearly 50% of all content consumed expected to be on the small screen in less than 5 years, according to report by Ernst & Young. A significant increase in different formats of media is being consumed online such as video, photos, live streaming, social interaction, and so on, according to the report. With such landmark partnerships in the industry, UCWeb aims to address the key challenge faced by users and partners i.e. content discovery and navigation for users and content distribution by publishers & partners. Commenting on the content strategy, Kenny Ye, GM of Global Markets, Alibaba Mobile Business Group said, “India has the largest young population in the world, driving the digital media consumption patterns. There is likely to be an overhaul in the way content providers distribute their content across digital platforms as UC Browser adapts itself for such role to meet the expectations of the industry. Our cooperation with Twitter and Bing is going to reshape the digital cricket content landscape, considering the modalities of our cooperation and scale of our combined user base. This partnership is going to offer the right mix of content for all cricket lovers in India ahead of the upcoming cricket season”. Ravichandran Bhaskaran, Head of Business Development, India and South Asia for Twitter said, “Twitter is your connection to live culture, so the perfect place to keep up with all the latest from the cricket games, and share your excitement with other fans. Last year, this saw the IND vs PAK World Cup match generated close to 1.7 million Tweets in a single day. The partnership with UCWeb will extend the best Tweets from the most exciting moments of every match by fans, players, and commentators to a larger and new cricket-loving audience throughout the season”. Twitter integration is already live on UC Cricket. Bing integration with UC Cricket will go live from March 14, 2016.
which is the best LIVE CRICKET SCORE app in android os? which is the best LIVE cricket score app for BlackBerry Z10 smartphone?